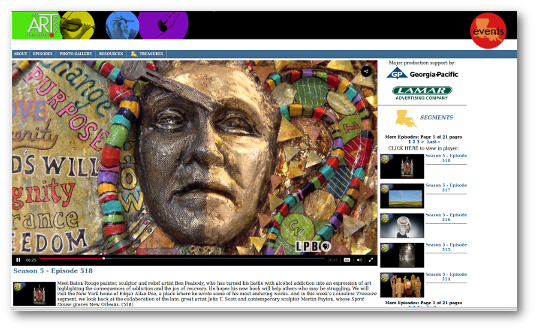 Ben Peabody was recently the focus of a major story on Louisiana Public Broadcasting's ArtRocks program. 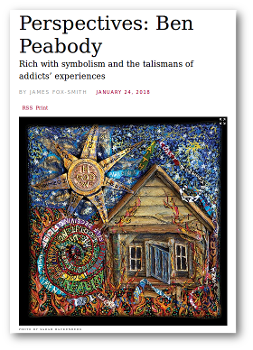 During the segment you'll see all of the works from his important Art & Addiction series plus many of his remarkable sculptural paintings. 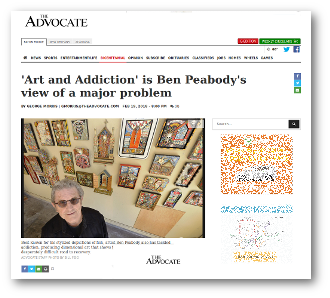 The artist and his addiction series were also recently featured in Country Roads Magazine and in a feature article in the Baton Rouge Advocate.